I’m always looking for new ways to add coastal decor to my home. 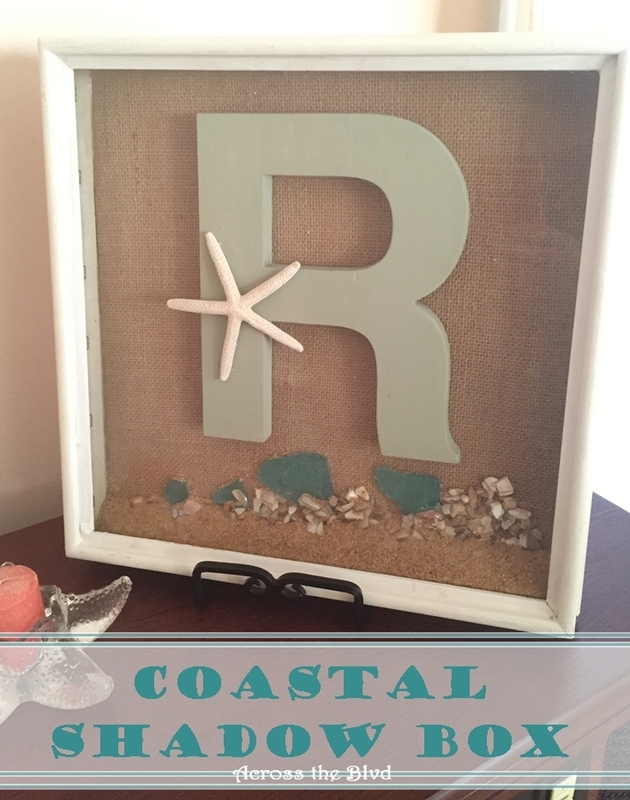 Not long ago, I spotted a coastal shadow box at Home Goods. While it was very reasonably priced, I knew I had all the materials at home to make one of my own. I didn’t try to replicate the one I saw, but it did give me the inspiration I needed. 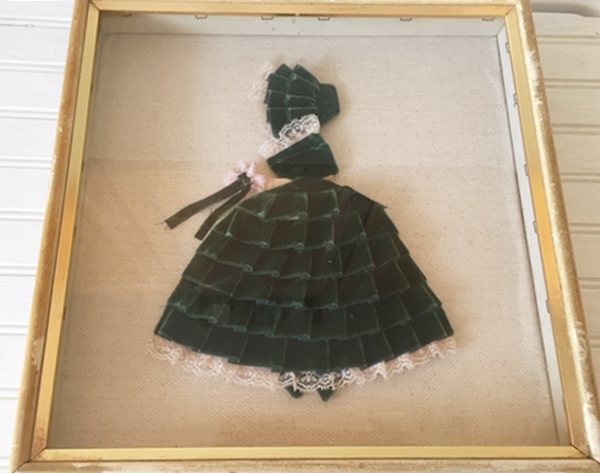 This velvet lady in a shadow box was something I bought a couple of months ago at Goodwill. It was about $3.00. At some point, someone had made this velvet lady and stapled it onto the backing. While I can appreciate the effort, it’s not my style and since it was at Goodwill, apparently, its owner had grown tired of it. The frame wasn’t in the best of shape, but it was sturdy. The back of it was taped on because it didn’t fit inside of the frame. From the looks of the aged tape, this was done a long time ago. I removed the backing and then pulled the dress away. 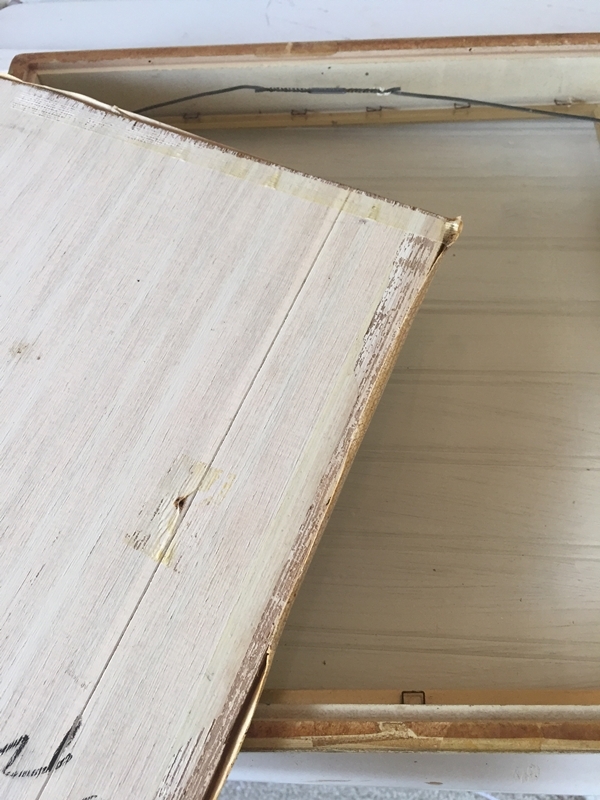 The backing was covered in wall paper and wall paper glue. 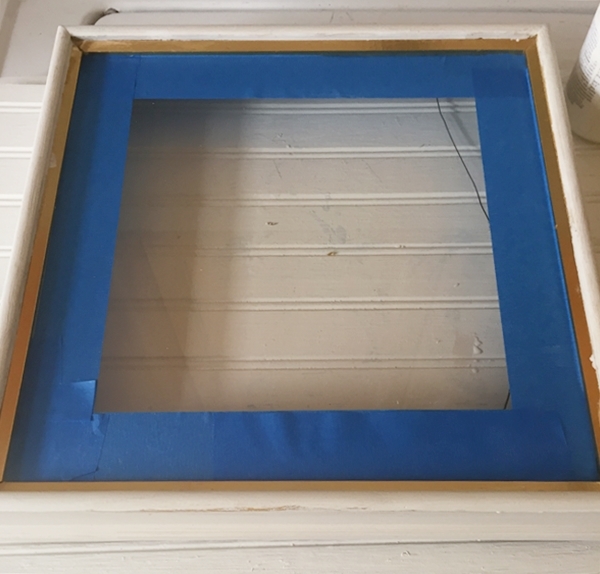 After cleaning the frame with TSP, I used Waverly Chalk Paint in Plaster to give it. a fresh look. Even after pulling the staples back that held the glass in place, it didn’t budge. Rather than risk breaking it, I taped over the inside rim before painting. 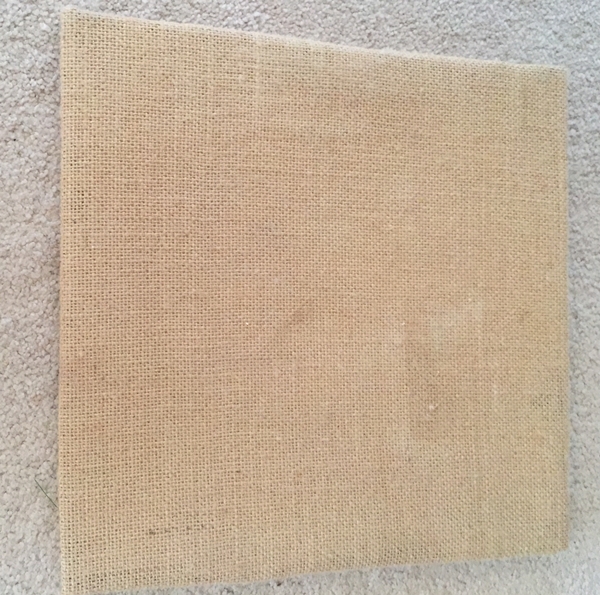 I didn’t want to spend the amount of time it would have taken to remove the wall paper and wall paper glue so I covered the back with burlap. I stapled the burlap to the back side to keep it taut. Once that was all done, it was time to start decorating it. I used small decorative pebbles across the bottom of the backing. I ran beads of hot glue in small sections and sprinkled the pebbles on to it. 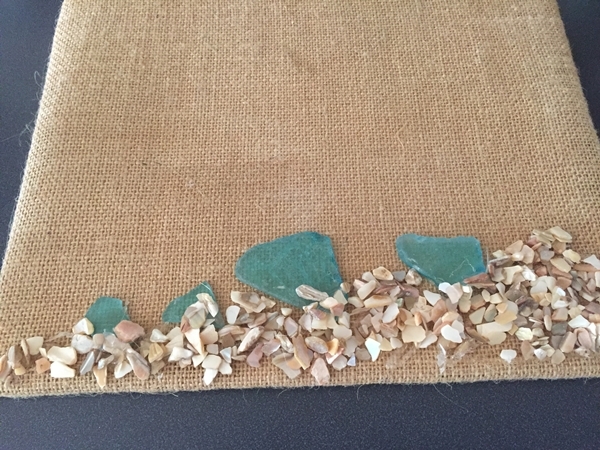 I continued in a sloping pattern all across the bottom, adding bits of sea glass along the way. I shook the loose pebbles off and then added more glue and put them back on. I seem to always have a stash of wooden letters. I had this unfinished R that was just the right size for this. 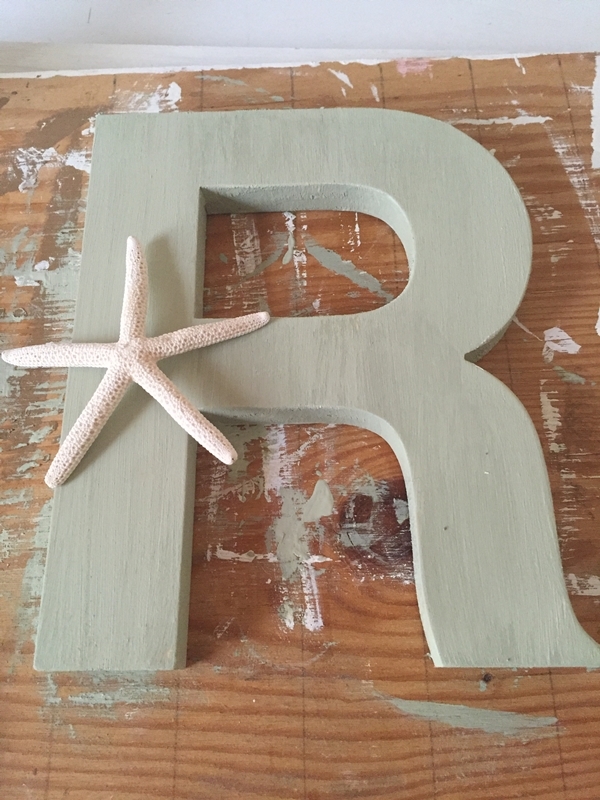 I used Waverly Chalk Paint in Celery to paint it and I hot glued a starfish onto it. Adding sand was a little bit messy. 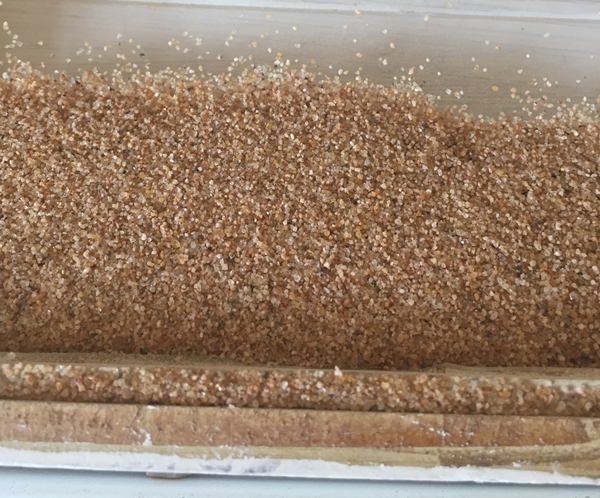 I ran some hot glue along the inside rim of the frame and sprinkled the sand on, shaking off the excess and then adding more. To assemble the back to the frame, I used hot glue along the rim. I love how it turned out! It’s so much fun to see something in a store and then create your own version of it. Because of the weight and the off-fitting backing, I decided to use a stand for this to display it instead of using it as wall art. I’ve learned to go ahead and buy inexpensive items like this when I see them at thrift stores because I just never know when or how I can give them a makeover. Hi, I just love your site. Love anything about the beach/ocean. I also like that your printing is dark and lettering a little larger. So many other blogs or whatever these types of information is called are in light colored printing, and I have to lean up to the computer screen to read them. Gets tiring after awhile. Thank you. I love all things coastal, too. I’m glad you find my site easy to read. 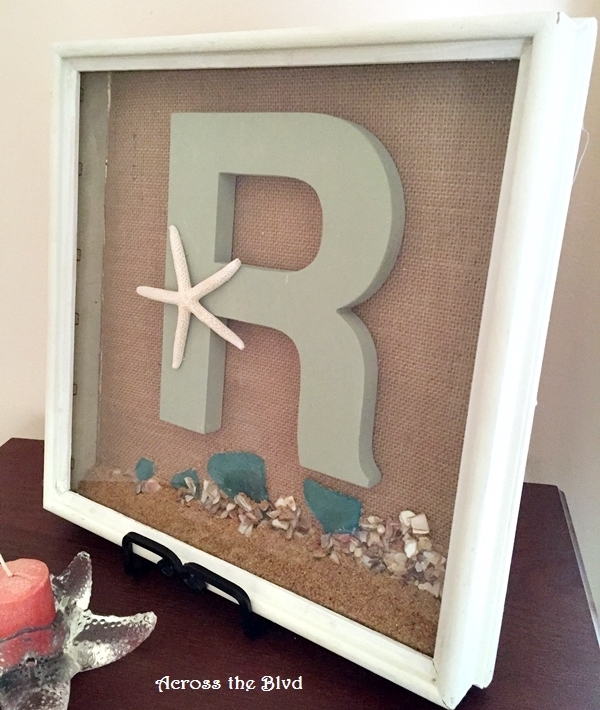 Beverly, you always do such amazing projects related to beach/nautical decor!! Living in an island I must tell I am in love with all of them. Thanks for sharing with us, I hope you have a wonderful week! Thanks so much, Pili! I love finding new ways to bring in a coastal feel to my home. Thanks for the party and for visiting! Thanks! I wasn’t sure when I found that shadow box just what I would do with it, but I knew for that price, I would find a fun project for it. The sand was messy. I held it over an old shoe box when I was adding it. Thanks for the party each week! Great job, ladies! I love the sand and little pebble and shells, so pretty! What a transformation. I love to see things that are taken from trash to treasure! Thank you Megin! Transforming thrift store items is such fun. Thanks for the great party each week! Thanks! I’m delighted to have inspired you to make one. I’ll look forward to seeing yours! It would be perfect for Sea Glass Cottage. What a save this is; I think it’s charming that you not only repurposed to such great effect but I noticed a certain respectfulness of the old. I would have just said, see this hideous doll, lol! Thanks so much, Mollie! I’m sure that when that Velvet Lady was made, she was well loved. Thanks for hosting! Thank you! Yes, there are lots of ways this could be made to fit any decor. Thanks for stopping by! This is so cool, you ladies are so talented!! 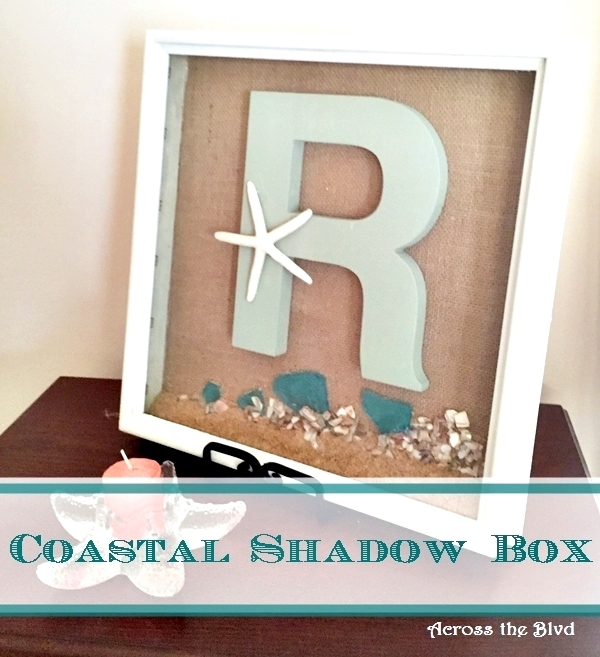 Anything coastal is good with me and this coastal shadow box is very lovely. I like the sand even if it was messy to make it looks great. 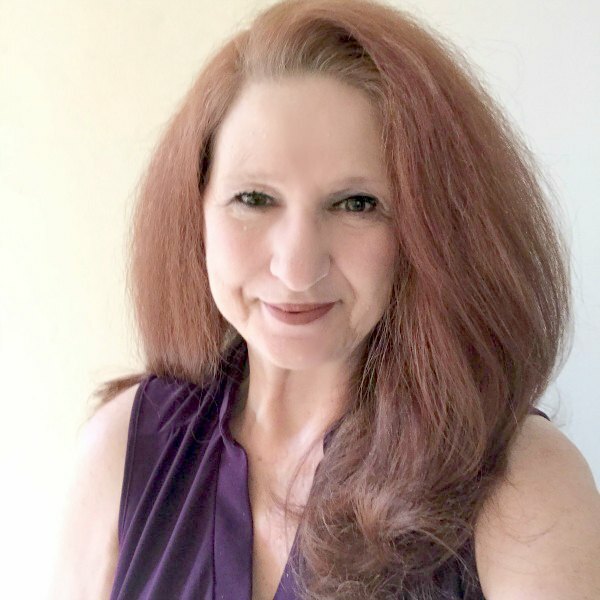 Thanks, Kathleen! The sand was worth the mess. Thank you! Shadow boxes are fun to put together. What a great way to make a shadow box yourself. They can be expensive to buy. 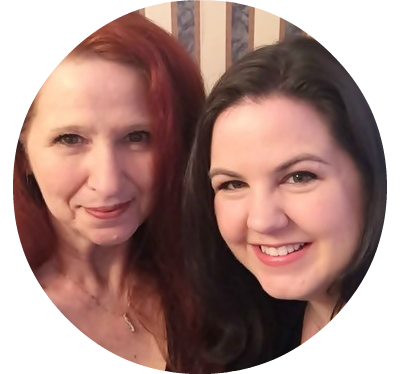 Thanks for sharing with us at Family Joy Blog Link Up this week. Thank you, Charlene. Yes, they can be pricey. I was happy to have found this one that was in need of a makeover. Thanks for hosting! 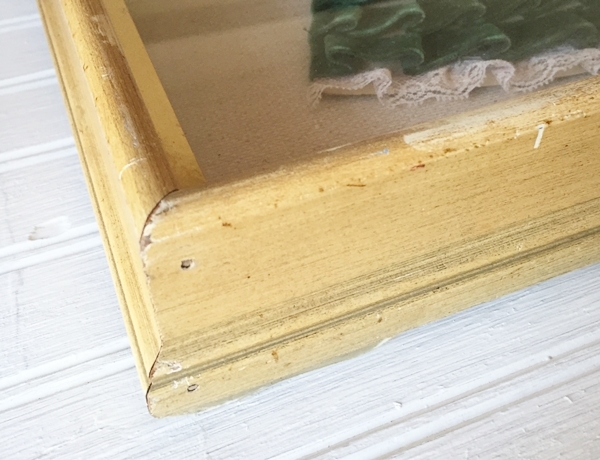 I love how you included natural items to re- make this lovely shadowbox! Thanks! I enjoyed putting it together. I love uses stones and sand in my decor. That is SOO cute! I can’t believe you took that hideously ugly velvet thing (let’s be honest- surely it is no one’s taste??) and made it into something so nice! 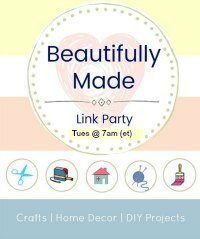 I hope you can join us again at the Family Joy Linky Party next Sunday! Ha! Yeah, it was pretty ugly. Thank you, Rachel. Thanks for the party, too. You have given me so many ideas for gifts for my mom! She has a beach condo, and your ideas are perfect for her place. They are also perfect for my place — they make me feel like I’m at the beach, too! I’m happy to have give you some ideas, Wendy! That’s one of the very best parts of blogging. Thanks, so much! 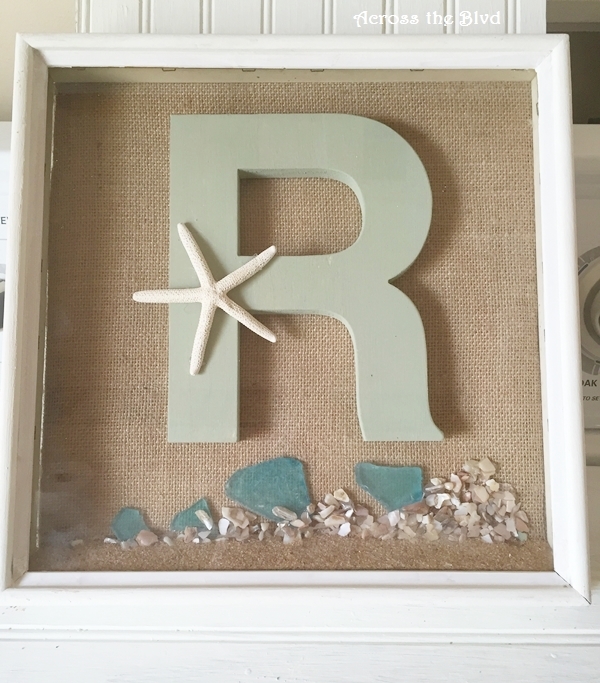 I love how your coastal shadow box turned out! 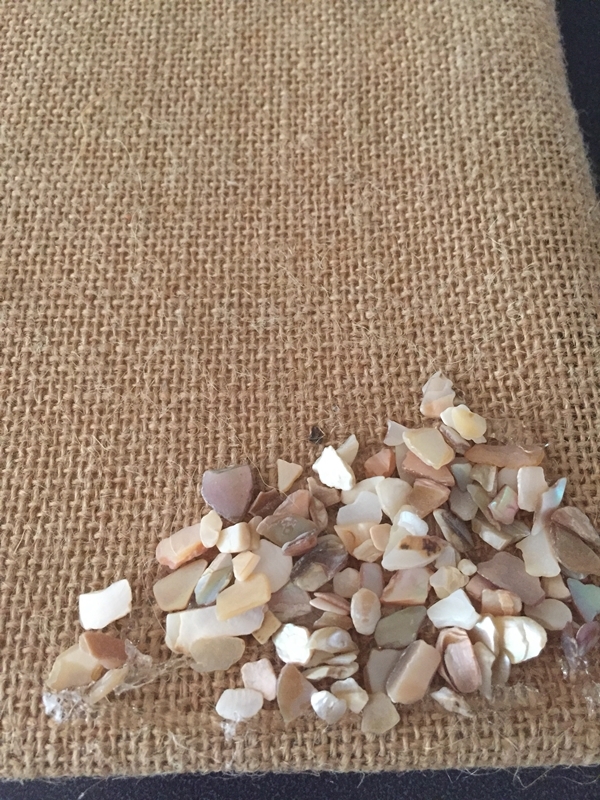 The sea glass, pebbles and sand are the perfect touch. Thanks for linking up with Merry Monday this week. Thanks so much, Emily. Thanks for the party! I love how you transformed this shadow box into something new. Great color scheme, too. This is gorgeous, I love the pop of color from the sea glass! Thanks for sharing at What’d You Do This Weekend?! Thanks, Joy. I like the sea glass, too. Thanks for the party!